At HUNT Real Estate ERA, we go above and beyond the industry standard when marketing your property - because we’re committed to giving you industry best real estate representation. 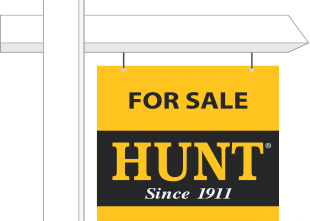 Entrusting your real estate asset with HUNT ensures you’re going to receive targeted marketing exposure, constant communication, and unparalleled customer service. With our leading-edge systems, technology and tools, we will showcase your property to the most number of qualified buyers, resulting in a faster sale for the most money possible. Our marketing strategies are customized to fit the unique needs of you - the seller. This is why we offer our exclusive Seller Select marketing plan, giving you the choice and level of service you desire for selling your home. The program’s Six Steps to Success delivers a faster, more efficient and satisfying home selling experience. To learn more about this unique program, visit our Seller Select page. There is no stronger commitment in real estate and it is only available from HUNT Real Estate ERA through the ERA Sellers Security Plan®. This innovative program gives you the assurance that your home will sell within a finite sales period. If it doesn’t sell in a set time, ERA Franchise Systems LLC will buy it from you. Visit our ERA Sellers Security Plan page for program details or contact a HUNT ERA agent or fill out the Request Information form on this page and a member of our Client Services team will contact you. No commission whatsoever is due HUNT ERA or your agent unless our marketing efforts generate a buyer ready, willing and able to purchase your home at a price and under terms acceptable to you. Until then, the risk is ours. As a home seller, having a home warranty plan covering the repair or replacement of home systems and appliances can make your home more attractive to potential buyers. At HUNT, we've partnered with American Home Shield (AHS) to offer you unparalleled protection. Visit our Home Warranty page to learn more about the value in purchasing an ERA Home Protection Plan from AHS.